No specific qualifications are required to fill the position, but secondary education, a driver’s license and experience in the field will help applicants get a job as a van driver. The average pay for this type of work is around £14,000 per year though some drivers can earn more depending on the employer. Van Drivers are required to transport different types of products, including computers, furniture, domestic appliances, documents, parcels, food, etc. They can also transport money using special vans for that purpose. This job require different types of driving licences depending on van size, for instance, vehicles between 3.5 and 7.5 tonnes requires a driver with a C1 licence. • Loading goods to the van. • Keeping records of deliveries. • Obtaining signed receipts from goods´ delivery. • Having excellent driving skills. • Having knowledge about routes and geography. • Having awareness of safety procedures for goods´ loading and unloading processes. • Being able to meet deadlines. Van Driver job placements just require a driving licence, including good driving record and skills in Math and English. In cases of larger vehicles, it is required to have a C1 licence and pass medical examinations. This type of licence is for large goods vehicles between 3.5 and 7.5 tonnes. Special cases like drivers for cash and valuables transport need an SIA licence. This also requires the completion of the National Open College Network level 2 award in cash and valuables in transit. Overview According to our data, these are the percent of job offers for van driver. Companies According to our data, by number of offers, these are the top companies that are hiring for van driver. Job Types According to our data, in percentages, these are the top job types available for van driver. Categories According to our data, by number of offers, these are the most popular categories for van driver. Cities According to our data, by number of offers, these are the top locations to get hired for van driver. 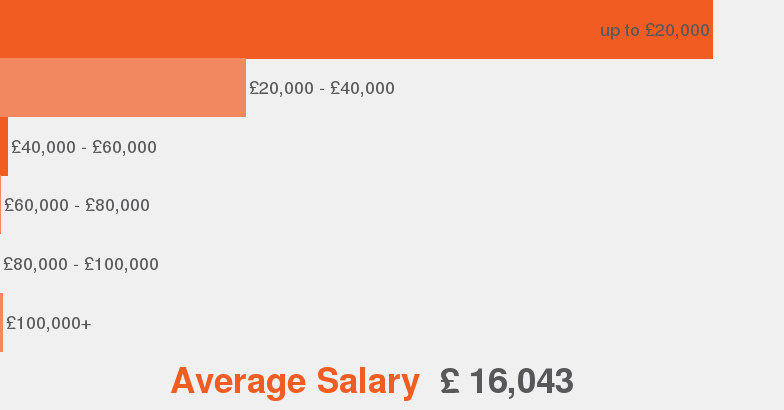 Salaries According to our data this is the average salary range offered for van driver.